Do you struggle with bloating, gas, food sensitivities, constipation, diarrhea, or heartburn? Suffering with chronic digestive complaints and gut infections is no fun and can impact many aspects of daily life. Hippocrates, the father of modern medicine, stated that “all disease begins in the gut.” And, indeed, here at Hormone Detox Shop, we find that all clients need to build a healthy gut in order to achieve their desired level of health. But you can’t fix your gut if you don’t know what the issue is! Read on to learn more about why you should get a stool test, and our favorite methods for testing for gut infections. Medical research into the microbiota of the gut has yielded exciting emergent information over recent years. I believe that we are just beginning to understand the role that the gut microbiome plays across multiple domains of human health (1). Obviously, if there is something wrong with your microbiota, you want to get it fixed! There are also several conditions that many people don’t attribute to the gut initially. For instance, many leading experts and researchers have found evidence supporting the theory that some autoimmune diseases are correlated with specific types of bacterial overgrowths and/or infections. For example, rheumatoid arthritis has been correlated with overgrowths of Proteus mirabilus (2). Researchers have found that many people with MS are host to Acinetobacter and Akkermansia bacteria, species that are not commonly found in healthy individuals (1). And many have found correlations between Hashimoto’s thyroiditis and the bacteria H. Pylori (3) and the parasite Blastocystis hominis (4). While some people have symptoms of these infections, many others do not. Although people without gut symptoms may be hesitant to get a stool test, it is always an important part of the process as these gut infections and imbalances are often part of the underlying problem. Disruptions in gut microbiota can vary from imbalances in normal bacteria to severe infections caused by parasitic organisms, abnormal bacteria, and/or overgrowth of yeasts and fungi. Gut microbiota readily fluctuate with changes in diet and environment. Elements of our modern lifestyle are thought to be among the primary factors influencing gut disturbances associated with chronic illness. Pharmaceuticals, antibiotics, processed foods, chemical toxins, and stress all disrupt bacterial flora in the gut and can set the stage for inflammation, immune system dysregulation, and malabsorption of nutrients. When the overall ecology of the gut becomes damaged, its capacity to fight off infectious organisms gets compromised thereby opening individuals to infection. Although there are a wide variety of species that can cause gut infection, they tend to fall into a few categories: parasitic gut infections, bacterial gut infections, and fungal/yeast gut infections. When testing the gut microbiome, comprehensive a stool test is far and away the most common and most reliable way to ascertain the overall state of the gut and its ecology. There are many labs out there conducting stool tests; however, here at Hormone Detox Shop, the GI-MAP stool test from Diagnostic Solutions laboratory is our preferred method of assessment. We feel the strength of the GI-MAP stool test lies in its use of qPCR DNA sequencing technology that evaluates DNA in order to ascertain exactly which organisms are present and in what quantities. Diagnostic Solutions Lab has integrated a technology called Luminex which was developed at Georgia Tech and is considered to be the gold standard for GI pathogen and microbial detection by academic research labs across the country. Luminex is the first comprehensive pathogens assay to be approved by the FDA and it targets parasites, bacteria, and viruses with degrees of accuracy that have been found to average 94.5% (5). The GI-MAP stool test looks for a wide variety of pathogens and dysbiotic organisms, including protozoan parasites, parasitic worms in human stool, infectious bacteria such as C. Difficile and H. Pylori infection, and yeasts and fungi such as Candida albicans and Microsporidium. Many labs use techniques like microscopy and culturing to conduct stool tests. These methods do have a high degree of utility and can provide useful insights; however, there are also limitations. For example, culture-based stool tests cannot measure strict anaerobes, viruses, or virulence factors; nor can they deliver true quantitation of reported organisms. Diagnostic Solutions Laboratory has fully validated each of its target organisms in its GI Map stool test. It only reports on items that it can report on accurately and qPCR sequencing allows for precise quantitation. For these reasons, the GI-MAP stool test has a higher degree of accuracy than most others and is far less likely to yield false negatives, a common occurrence with many other stool tests. I have personally worked with dozens of clients who had unremarkable stool test results from prior labs run with other practitioners only to have multiple imbalances and infections detected on a GI-MAP stool test. Leading functional medicine practitioners around the country have similar experiences with their clients, making the GI-MAP the preferred method of testing by clinical experts. The one drawback to using automated testing such as the GI-MAP stool test is that it can only test for the organisms it has been told to test for, thereby limiting the possible results. Nonetheless, Diagnostic Solutions Laboratory has targeted its test to detect species of highest clinical utility in functional medicine settings. What Else Does the GI-Map Test For? In addition to testing for organisms of the microbiome, the GI-MAP stool test also assesses several intestinal health markers. It evaluates pancreatic enzyme production, fat absorption, gut inflammation, and GI immune system health. Additionally, people can add on the Zonulin marker to assess for hyperpermeability in the gut lining. The lining of the gut is composed of a single layer of cells that are held together by something called tight junctions. These tight junctions are meant to be able to open and close based upon the needs of the system at any particular time. Zonulin regulates the opening of the tight junctions. While this is desirable at times, certain types of infections and gliadin (the oft-problematic protein in gluten) can upregulate zonulin and create chronic intestinal hyperpermeability (aka leaky gut). While the GI Map does test for the anti-gliadin antibody (associated with non-celiac gluten sensitivity) this part of the test can sometimes return negative even if leaky gut is present. So the zonulin add on is useful to check more thoroughly for leaky gut issues. Gathering these pertinent details about your digestive health can help your practitioner determine some of the root causes of your health complaints. Even better, these pieces of data aid in the development of a supportive healing protocol that can help alleviate symptoms and create a foundation for better health. At this point, I hope it is evident how valuable this test is to gathering information about your current health status. The more information we have, the more capable we are of developing protocols that actually work! As you can see in these sample results, the GI-MAP seems fairly easy to interpret. But don’t be fooled! Although the basics may be simple to read, there are many nuances in this test. A skilled practitioner can detect patterns in the results that may be indiscernible to the layperson. We feel that it is crucial for you to fully understand your test results in order to make informed decisions about your care going forward. Our health coaches are here to help you do that and to facilitate your journey towards better health! Get Your Test Run Now! 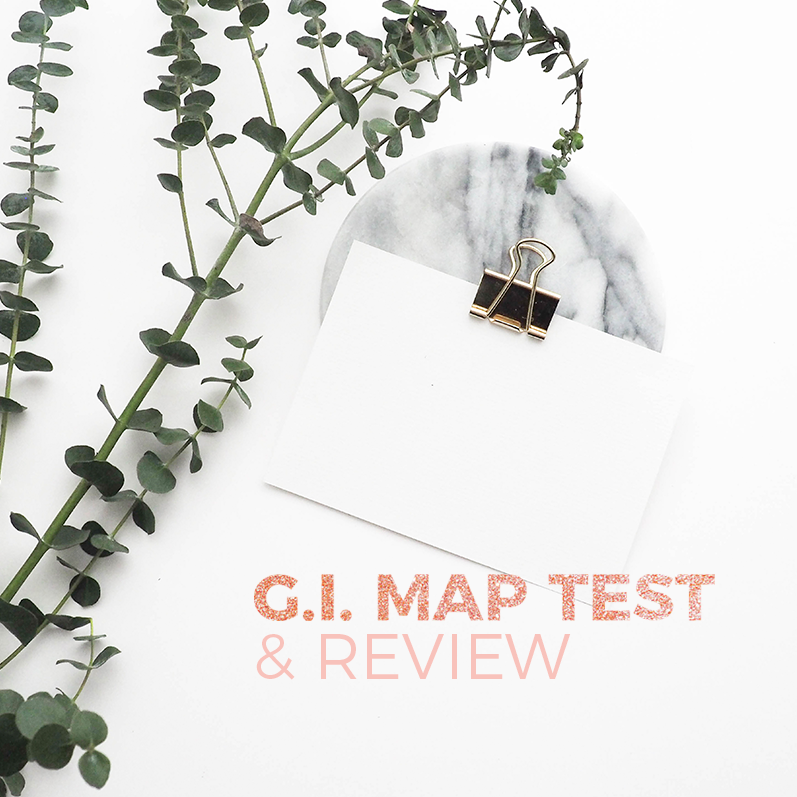 We have just begun to offer the GI MAP testing service with a personalized review of your GI MAP and supplementation recommendations. We are also offering an optional addition of the zonulin testing marker, to check for leaky gut. If you want to test zonulin as well, you’ll need to mark that checkbox before you add the GI Map to your cart on the shop. We feel that this test, along with an expert review and strategy session, is one of the best investments you can make in your overall health. Gut health is so critical to overall health and it’s getting harder and harder to maintain in a toxic world. Let us help! Stop guessing and start testing. Ships worldwide. As of early March, 2019, Bridgit explains more about the GI-MAP package in this video below. Ann Melin is a certified Holistic Health Practitioner, Clinical Nutritionist, a Clinical Master Herbalist, and a Functional Diagnostic Nutrition® Practitioner, and has been in the field of health since 2001. We are extremely blessed to have her as our Clinical Director and Lead Health Coach for Women’s Wellness Collaborative as she has extensive experience in running labs and creating holistic protocols based on the principles of functional nutrition. She lives in Vermont.